MammoCult™ is the most published commercially available medium for the culture of mammospheres and tumorspheres. Mammospheres are cultured from primary breast tissue or cell lines, while tumorspheres are cultured from primary tumor cells and cancer cell lines from multiple tissues. 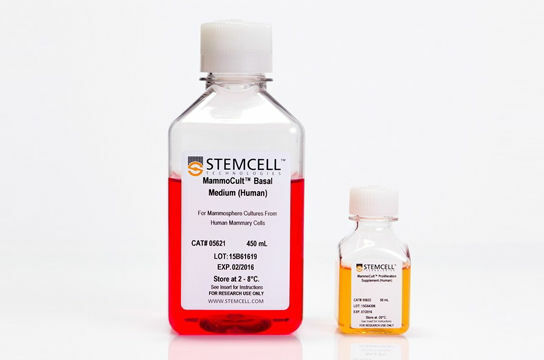 MammoCult™ has been used with a variety of breast cancer cell lines for tumorsphere generation, including MCF7, MCF10A, SKBR3, MDA-MB-231, AU565, SUM149 and BT474. 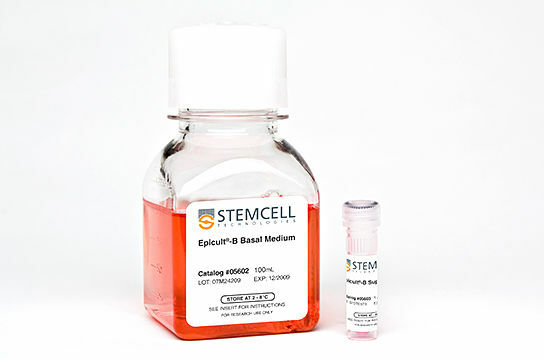 While leading breast cancer researchers use MammoCult™ for their research, this defined and serum-free medium has also been used in sphere assays with cells derived from ovaries, lung, colon and other tissues. Three-dimensional sphere cultures provide higher physiological relevance than traditional monolayer cultures. The mammosphere culture system involves seeding mammary epithelial cells at low density in an environment that prevents their adherence to a substratum and enables their proliferation in suspension as spherical clusters. 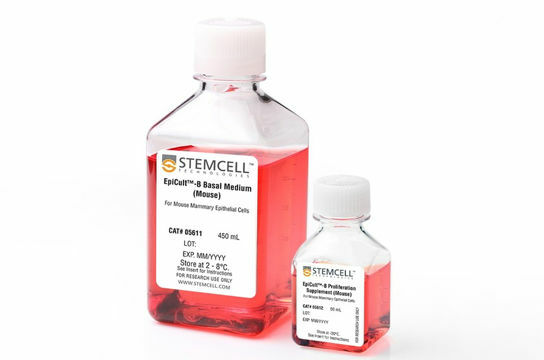 This system is capable of propagating mammary stem and progenitor cells in vitro and supports tumorsphere culture of breast cancer stem cells and cell lines. Watch this video to learn how you can easily generate mammospheres and tumorspheres using MammoCult™. Leading breast cancer researchers choose MammoCult™ to culture tumorspheres derived from breast cancer stem cells or cell lines. 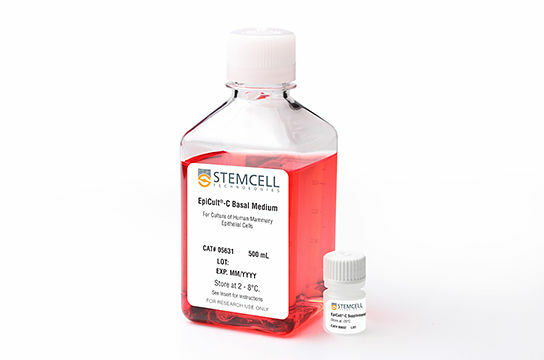 In addition to using MammoCult™, advance your research with our full suite of cancer research tools including specialized cell culture media, cell isolation tools and stem cell detection kits. Watch this video to see how ALDEFLUOR™ and EpiCult™ are also helping researchers in the fight against breast cancer. HIGH PERFORMANCE. Generates a large number of passagable mammospheres and tumorspheres. LONG-TERM MAINTENANCE. Supports long-term maintenance of breast cancer cell lines. WIDELY-PUBLISHED. The most published commercially available medium for sphere culture from mammary tissue. Kendellen MF et al. (2014) Canonical and non-canonical NF-κB signaling promotes breast cancer tumor-initiating cells. Oncogene 33(10): 1297-305. Lim S et al. (2013) SNAI1-mediated epithelial-mesenchymal transition confers chemoresistance and cellular plasticity by regulating genes involved in cell death and stem cell maintenance. PLoS One 8(6): e66558. Burke AR et al. (2012) The resistance of breast cancer stem cells to conventional hyperthermia and their sensitivity to nanoparticle-mediated photothermal therapy. Biomaterials 33(10): 2961-70. Qiao Y et al. (2011) FOXQ1 regulates epithelial-mesenchymal transition in human cancers. Cancer Res 71(8):3076-86. Smart CE et al. (2013) In vitro analysis of breast cancer cell line tumourspheres and primary human breast epithelia mammospheres demonstrates inter- and intrasphere heterogeneity. PLoS One 8(6): e64388. Zhao S et al. (2013) HER2 overexpression-mediated inflammatory signaling enhances mammosphere formation through up-regulation of aryl hydrocarbon receptor transcription. Cancer Lett 330(1): 41-8. Del Vecchio CA et al. (2012) Epidermal Growth Factor Receptor Variant III Contributes to Cancer Stem Cell Phenotypes in Invasive Breast Carcinoma. Cancer Res 72(10): 2657-71. Korkaya H et al. (2012) Activation of an IL6 Inflammatory Loop Mediates Trastuzumab Resistance in HER2+ Breast Cancer by Expanding the Cancer Stem Cell Population. Mol Cell 47(4): 570-84. Deng et al. (2010) Distinct expression levels and patterns of stem cell marker, aldehyde dehydrogenase isoform 1 (ALDH1), in human epithelial cancers. PLoS One 5(4): e10277. D'Assoro AB et al. (2014) The mitotic kinase Aurora-A promotes distant metastases by inducing epithelial-to-mesenchymal transition in ERα(+) breast cancer cells. Oncogene 33(5): 599-610. Kundu N et al. (2014) Prostaglandin E receptor EP4 is a therapeutic target in breast cancer cells with stem-like properties. Breast Cancer Res Treat 143(1): 19-31. Rajabi H et al. (2014) MUC1-C oncoprotein activates the ZEB1/miR-200c regulatory loop and epithelial-mesenchymal transition. Oncogene 33(13): 1680-9. Alam M et al. (2013) MUC1-C Oncoprotein Activates ERK->C/EBPβ Signaling and Induction of Aldehyde Dehydrogenase 1A1 in Breast Cancer Cells. J Biol Chem 288(43): 30892-903. Bhat-Nakshatri P et al. (2013) Identification of FDA-approved drugs targeting breast cancer stem cells along with biomarkers of sensitivity. Sci Rep 3: 2530. Bianco C et al. (2013) Regulation of human Cripto-1 expression by nuclear receptors and DNA promoter methylation in human embryonal and breast cancer cells. J Cell Physiol 228(6): 1174-88. Cho JH et al. (2013) A positive feedback loop regulates the expression of polycomb group protein BMI1 via WNT signaling pathway. J Biol Chem 288(5): 3406-18. Lee JH et al. (2013) The combination of sorafenib and radiation preferentially inhibits breast cancer stem cells by suppressing HIF-1α expression. Oncol Rep 29(3): 917-24. Vares G et al. (2013) Generation of breast cancer stem cells by steroid hormones in irradiated human mammary cell lines. PLoS One 8(10): e77124. Wei X et al. (2013) Hyaluronic acid-based nanogel-drug conjugates with enhanced anticancer activity designed for the targeting of CD44-positive and drug-resistant tumors. Bioconjug Chem 24(4): 658-68. Wolf J et al. (2013) A mammosphere formation RNAi screen reveals that ATG4A promotes a breast cancer stem-like phenotype. Breast Cancer Res 15(6): R109. Gilani RA et al. (2012) The importance of HER2 signaling in the tumor-initiating cell population in aromatase inhibitor-resistant breast cancer. Breast Cancer Res Treat 135(3): 681-92. Korkaya H et al. (2012) Activation of an IL6 Inflammatory Loop Mediates Trastuzumab Resistance in HER2+ Breast Cancer by Expanding the Cancer Stem Cell Population. Mol Cell (47(4): 570-84. Palaniyandi K et al. (2012) Human Breast Cancer Stem Cells Have Significantly Higher Rate of Clathrin-Independent and Caveolin-Independent Endocytosis than the Differentiated Breast Cancer Cells. J Cancer Sci Ther 4(7): 214-222. Wong NK et al. (2012) Heterogeneity of breast cancer stem cells as evidenced with Notch-dependent and Notch-independent populations. Cancer Med 1(2): 105-13. Wu F et al. (2012) Identification of two novel phenotypically distinct breast cancer cell subsets based on Sox2 transcription activity. Cell Signal 24(11): 1989-98. Zhao S et al. (2012) Activation of the aryl hydrocarbon receptor represses mammosphere formation in MCF-7 cells. Cancer Lett 317(2): 192-8. Kumar A et al. (2011) Evidence that aberrant expression of tissue transglutaminase promotes stem cell characteristics in mammary epithelial cells. PLoS One 6(6): e20701. Axlund SD et al. (2013) Progesterone-inducible cytokeratin 5-positive cells in luminal breast cancer exhibit progenitor properties. Horm Cancer 4(1): 36-49. Zhang CC et al. (2012) Biomarker and pharmacologic evaluation of the γ-secretase inhibitor PF-03084014 in breast cancer models. Clin Cancer Res 18(18): 5008-19. Kundu N et al. (2014) Prostaglandin E receptor EP4 is a therapeutic target in breast cancer cells with stem-like properties. Breast Cancer Res 143(1): 19-31. Dai L et al. (2013) CD147-dependent heterogeneity in malignant and chemoresistant properties of cancer cells. Am J Pathol 182(2): 577-85. Di Cello F et al. (2013) Knockdown of HMGA1 inhibits human breast cancer cell growth and metastasis in immunodeficient mice. Biochem Biophys Res Commun 434(1): 70-4. Han YK et al. (2013) A possible usage of a CDK4 inhibitor for breast cancer stem cell-targeted therapy. Biochem Biophys Res Commun 430(4): 1329-33. Shen J et al. (2013) High Capacity Nanoporous Silicon Carrier for Systemic Delivery of Gene Silencing Therapeutics. ACS Nano 7(11): 9867-80. Hu K et al. 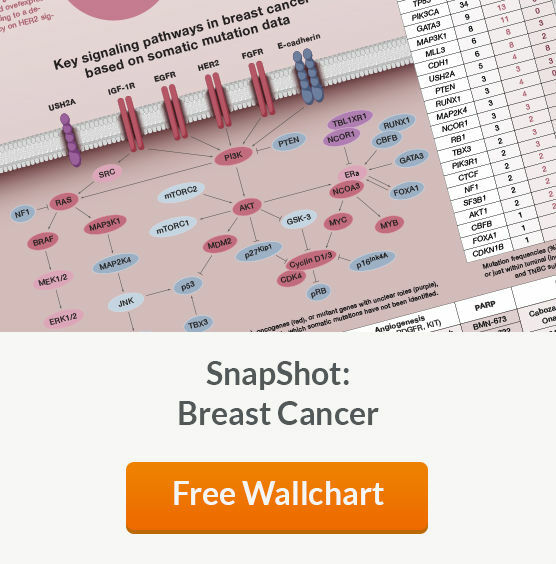 (2012) Small interfering RNA library screen identified polo-like kinase-1 (PLK1) as a potential therapeutic target for breast cancer that uniquely eliminates tumor-initiating cells. Breast Cancer Res 14(1): R22. Rao R et al. (2012) Combination of pan-histone deacetylase inhibitor and autophagy inhibitor exerts superior efficacy against triple-negative human breast cancer cells. Mol Cancer Ther 11(4): 973-83. Stratford AL et al. (2012) Targeting p90 ribosomal S6 kinase eliminates tumor-initiating cells by inactivating Y-box binding protein-1 in triple-negative breast cancers. Stem Cells 30(7): 1338-48. Wang H et al. (2012) Oncolytic vaccinia virus GLV-1h68 strain shows enhanced replication in human breast cancer stem-like cells in comparison to breast cancer cells. J Transl Med 10(1): 167. Qiu M et al. (2013) Specific inhibition of Notch1 signaling enhances the antitumor efficacy of chemotherapy in triple negative breast cancer through reduction of cancer stem cells. Cancer Lett 328(2): 261-70. KWu G et al. (2013) Clinical implications of periostin in the liver metastasis of colorectal cancer. Cancer Biother Radiopharm 28(4): 298-302. Huang X et al. (2012) Co-expression of stem cell genes CD133 and CD44 in colorectal cancers with early liver metastasis. Surg Oncol 21(2): 103-7. Hassan KA er al. (2013) Notch pathway activity identifies cells with cancer stem cell-like properties and correlates with worse survival in lung adenocarcinoma. Clin Cancer Res 19(8): 1972-80. Meng F et al. (2013) Anticancer efficacy of cisplatin and trichostatin A or 5-aza-2'-deoxycytidine on ovarian cancer. Br J Cancer 108(3): 579-86. Meng F et al. (2013) Inhibition of DNA methyltransferases, histone deacetylases and lysine-specific demethylase-1 suppresses the tumorigenicity of the ovarian cancer ascites cell line SKOV3. Int J Oncol 43(2): 495-502. Pease JC et al. (2012) Spontaneous spheroid budding from monolayers: a potential contribution to ovarian cancer dissemination. Biol Open 1(7): 622-8. Xu CX et al. (2012) MicroRNA miR-214 regulates ovarian cancer cell stemness by targeting p53/Nanog. J Biol Chem 287(42): 34970-8.